DETROIT: Finn Partners has tapped managing partner Dan Pooley to lead its new office in downtown Detroit. Pooley will continue to run the firm's Chicago office, but he will gain additional responsibilities for the Detroit location, which opened on Thursday. He will continue to be based in Chicago, but will spend time in both cities. "[Pooley] has done a fantastic job building our Chicago office, and will continue to do that, but his job in Detroit will be to make sure we build the team there, and that we tap into new market opportunities," said Peter Finn, the firm's founding partner. Finn Partners acquired the business of Chicago-based marketing and PR firm Healy & Schulte in January 2013. The agency launched the Detroit office, located at 1528 Woodward Ave., to bolster its commitment to clients in the city and across Michigan, said Finn. "We have opened an office there to support the clients we already have, but we feel there are great opportunities ahead of us, and also ahead of Detroit," Finn added. "There are a lot of entrepreneurial types starting up in Detroit, and a lot of technology businesses, too." The firm's clients in Detroit include Blue Cross Blue Shield of Michigan. Finn declined to disclose other clients in the region. Pooley was promoted to managing partner, while retaining his role as MD, last January. Prior to joining the firm in 2009, he worked at Weber Shandwick for three years as SVP, where he served as the client relationship leader for the National Milk Mustache "Got Milk?" campaign. Pooley has also worked at Cramer-Krasselt, Edelman, and MSLGroup predecessor Manning, Selvage, & Lee. 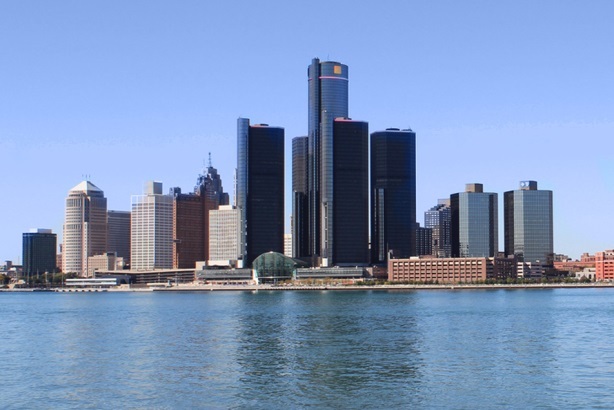 The Detroit office has two staffers who have relocated from Chicago. Finn said the firm is trying to hire more employees, with plans to have five in the city by the second quarter. With headquarters in New York City, Finn Partners has approximately 300 employees and offices in Chicago, London, Los Angeles, Jerusalem, San Francisco, Washington, DC; and Fort Lauderdale, FL. The firm acquired Widmeyer Communications in a further push into the public affairs and education spaces last July.